This book was a breath of fresh air with insights on how customers buy, what they value from a professional sales person and how today's top performing sales professionals behave. The Challenger Sale: Taking Control of the Customer Conversation, targets the aspiring sales professional and sales leader. However, it is much more. The book’s message is one of marketing strategy and tactics - how to attract, build and sustain customer relationships that result in sales. You may have a killer product, but we all know they don't sell themselves and success in the market through getting your killer product/service sold is the critical factor for survival. The skeptic surfaced in me as I began reading the categorization of sales behavior types, - everything old is new again, but I disciplined myself to read on. The findings are consistent with my experience in sales and as a management consultant....but again this is hardly earth shattering. The book describes, in detail, the attributes that define “Challenger behavior.” As I read on, I found the research evidence to be insightful, credible and compelling and it resonated with me. 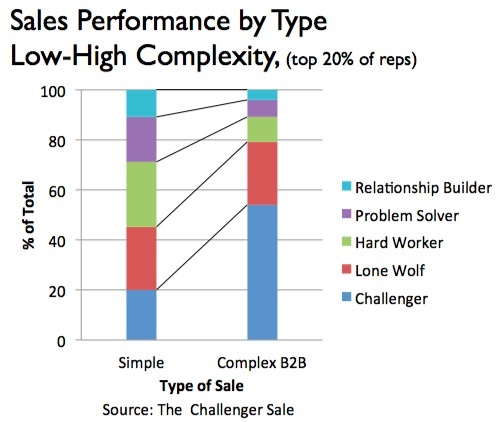 Of the five sales behaviors profiled, for more complex sales, the “Challenger” seriously out-performed all others. The Corporate Executive Board has been effective in applying "Challenger selling" methods to the sales performance industry and is indeed disrupting the status-quo thinking and established players in the market, even though it is one of a number of marketing and sales companies with a "disruptive" sales message and method. Based on the evidence, there is a compelling case supporting the development of Challenger capabilities in sales organizations within B2B technology and services companies. In my 20+ years of management consulting, working on large corporate change initiatives and business start-ups, I often encountered dysfunction and disconnect between Sales and Marketing. Even more damaging was the frequent disconnect between the “C” suite and an understanding of what a professional sales capability requires and may accomplish for the company. 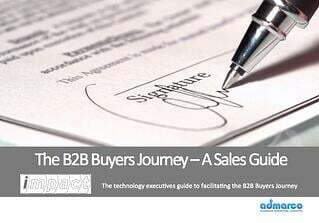 In complex B2B sales, building a professional sales capability is a competitive advantage. 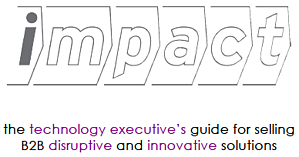 As a consultant, I worked with business leaders who believed they could impact results, simply by turning the “quota and commission dial.” Without investment in a marketing capability to generate leads and the knowledge and skills to engage, influence and generate sales, the result I witnessed was a loss of people, customers and earnings.... and subsequent dismissal of the executive in question. A professional sales capability is an investment. Where and how to invest and ensuring the company functions with a killer sales capability is the business of the “C” suite. Later chapters in The Challenger Sale examine the factors for effective sales leaders and link the Challenger attributes to what is required to coach, develop and enable success in sales. The authors also comment on information linking “Challenger” attributes to those departments serving internal customers - marketing, HR, IT. Could this perception be an expectation that the system is the solution? Functions in silos are leading to disconnects in implementation of technology. What is needed is a shared vision and culture of collaboration; all areas of the business with a Challenger focus - one of how to create value for customers. This focus emanates from "C" suite leaders. In the current business era, there is an imperative that Marketing, HR, Sales and IT work to a shared business strategy, vision and culture. In my early 20s, I discovered a sales role was the way to advance my career. As a woman in an incumbent sales force of men, I determined to build the knowledge and communications skills that would lead to credibility and success. I was determined and it worked. I moved into leadership roles in Marketing and subsequently became a management consultant using the knowledge, skills and experience I gained as a sales professional. As the “Challenger” describes, I found confidence and courage in competence. I believe The Challenger Sale: Taking Control of the Customer Conversation is a blueprint for building success in the marketplace. It may not be easy – it will be effective! Kathleen Carr is an experienced International Management Consultant.